Savor the rich splendor of this pre-Raphaelite setting with its Artistic Reformation walnut furnishings and Morris-style wallpaper in deep shades of burgundy, cream, and dark green. 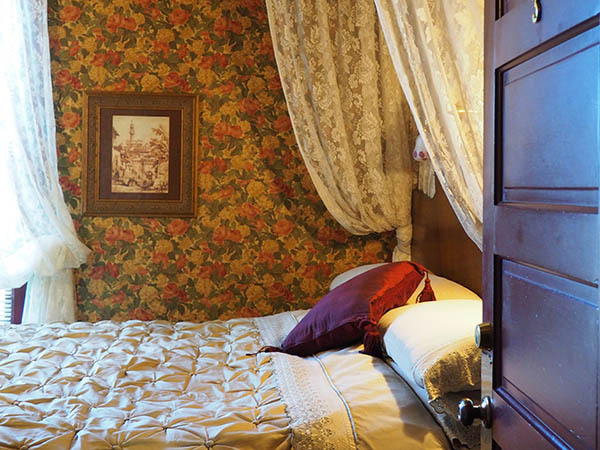 Snuggle down into the cozy bedding topped with sumptuous gold coverlet. 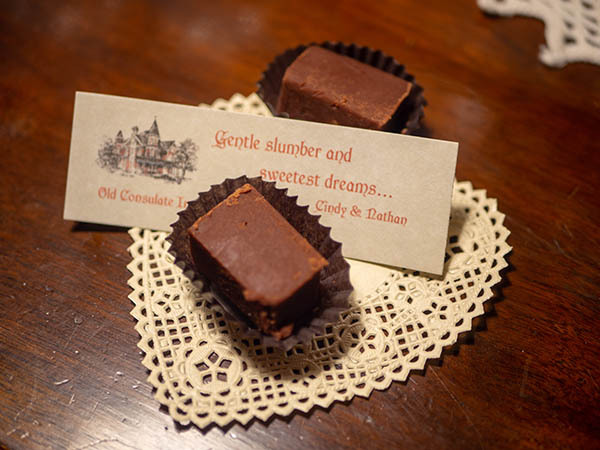 Hearken back to the comforts of a bygone age with a gloriously carved half-canopied king bed. Relax as you watch the sun set through your double windows. 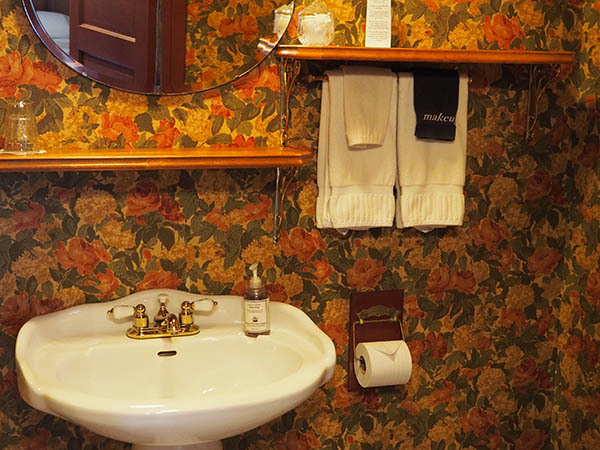 The charmingly decorated private bathroom features a shower and pedestal sink. 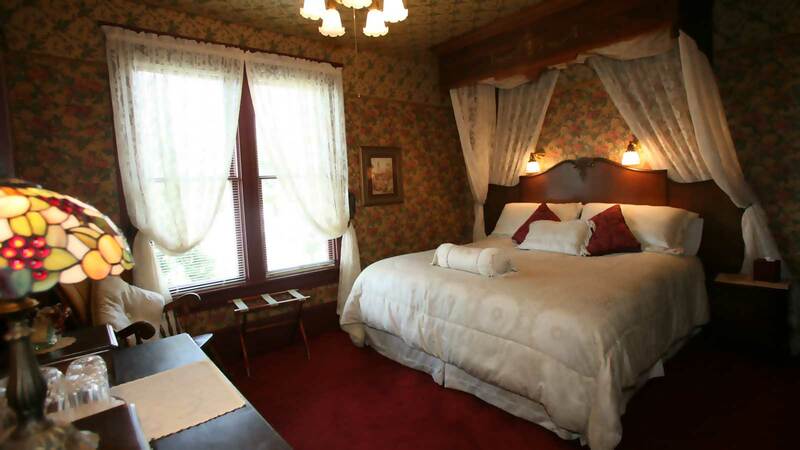 The room itself is rich with burgundy carpet and elegant wallpaper, the bed offset with an opulent, oak half-canopy.